Cascade Canister Filters from Penn Plax offer heavy-duty multi-stage external filtration for your fresh or salt water aquarium. The Cascade 1500 Canister Filter can handle aquariums up to 200 gallons efficiently providing up to 350 gph of flow. These filters allow you to combine the benefits of several types of media delivering powerful mechanical, chemical & biological filtration for crystal clear water in fresh or marine environments. 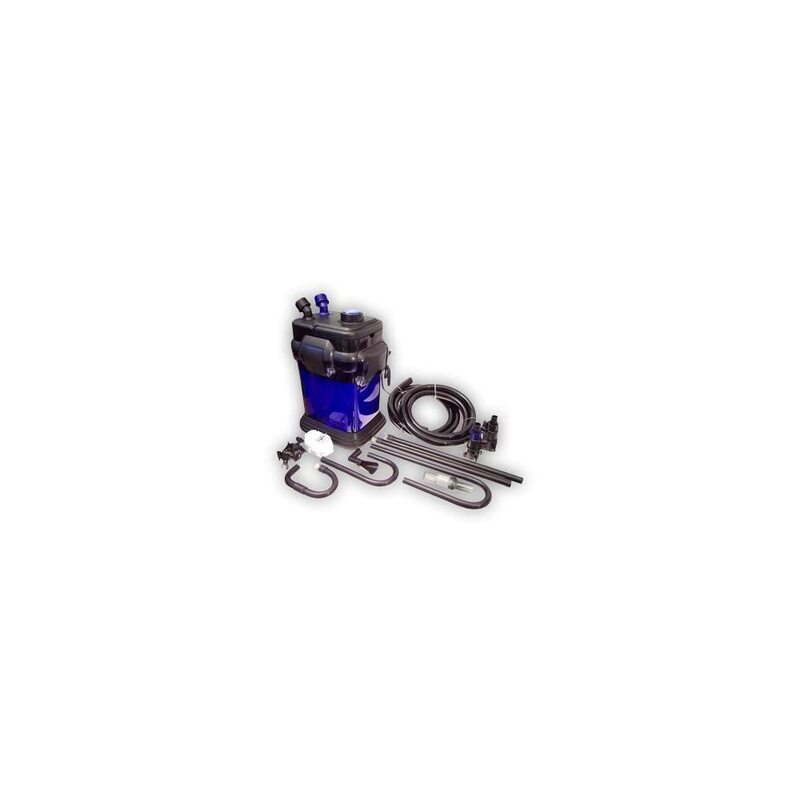 Easy to install, these filters come with all the necessary accessories to connect to your tank and begin filtering in approximately 30 minutes and see visible improvement in less than a day! A quick push-button primer makes start-ups easy and the two independent directional 360-degree rotational valve taps make placement worry-free. Flow-rate control valves and swimming pool-style hose clamps make setup and adjustment easy. 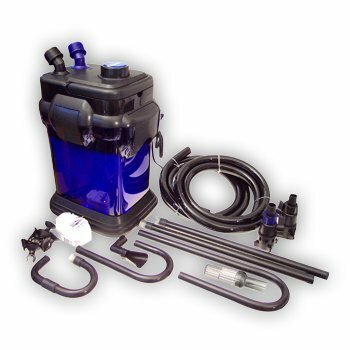 The popular cobalt blue color will look attractive next to your tank and the sturdy rubber mounted tip-proof rubber base keeps the unit in place. Each pump comes with large filter trays, start-up filter media & input/output tubing. The large filter trays mean you can use more media and have longer periods between replacement. An air-tight seal assures proper flow rate while maintain ultra quiet operation. The easy-lift clamps make it simple to release the vacuum and remove the top for changing media or other maintenance. Directional returns help to suspend waste matter so it can be taken in by the filter leaving nothing but clear, clear water. Use any combination of media including bio-floss, bio-sponges, activated carbon and others to accomplish a wide array of aquarium filtration needs. This particular advertised filter is good for 30 gallon aquariums. The one that filters 200 gallons runs $170.00. With that being said, canister filters are largely considered the top line type of filter in keeping your aquarium crystal clear and your tank free of nasty elements. Along with regular water changes, tanks can have a long healthy environment with such filters.